Australia beat India in a bilateral series in India for the first time in ten years, becoming just the fifth team to come back from 0-2 down to win a series 3-2. Former Pakistan captain Moin Khan has backed his country to break its World Cup jinx by beating India. We’re up to the final part of our World Cup teams analysis, this time featuring Afghanistan, Australia and India. 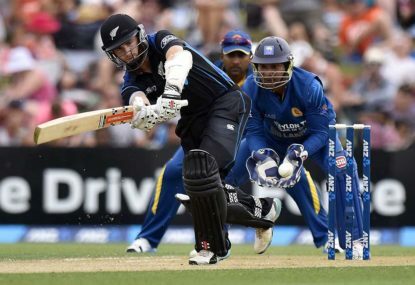 The Cricket World Cup is less than four months away and team preparations are now running at full steam. 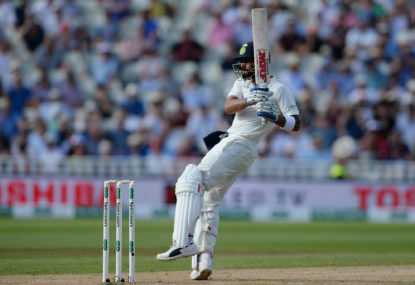 India battles England in the fourth test at Southampton Rose Bowl Cricket Ground. 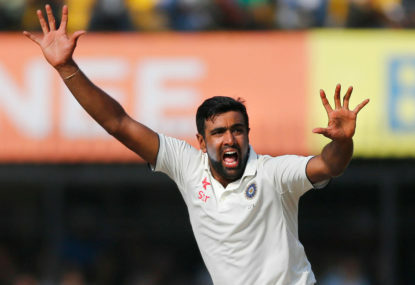 India is trailing 1-2 and roared back into series by winning the third test by 203 runs. 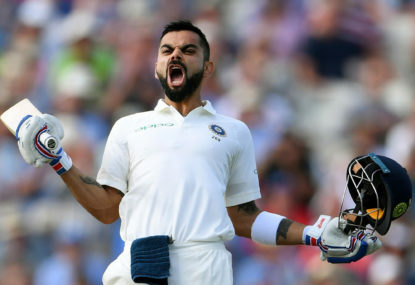 Unless there’s a miracle, India is winning the third Test at Trent Bridge. 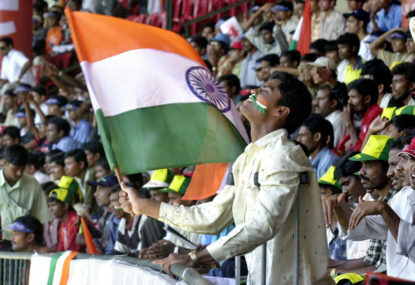 India’s drubbing has left everyone in the country seething – including cricket media, fans, and pundits. While everyone expected India to roll over England, the Three Lions have taken everyone by surprise and put on a clinical display. 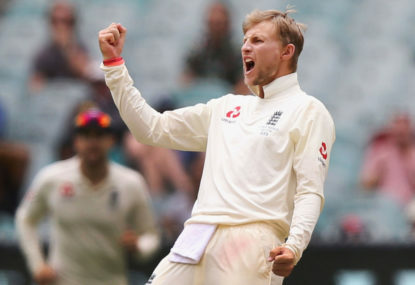 England's coup de grace or India's fightback? 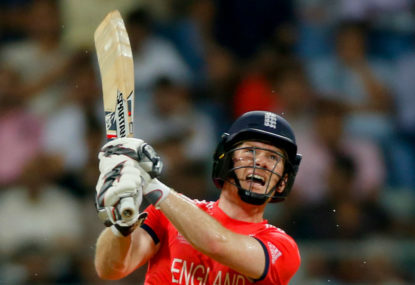 England drew first blood as they beat India by 31 runs. It was a tightly contested match as fortune fluctuated from one session to another. The honours are even now. India won the Twenty20 series, but England roared back to win the ODI series despite being 1-0 down. 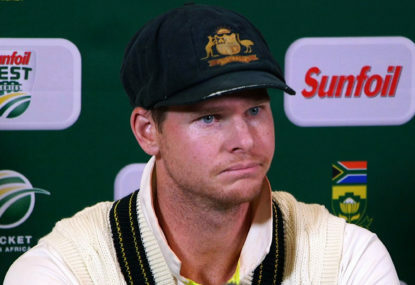 Steven Smith’s feats with the bat and successes as captain saw him make many fans, but all that was turned upside down once he admitted his part in the ball-tampering saga that plagued the third Test against South Africa. Kuldeep Yadav has impressed in the limited overs format, with England unable to read his wrong’un – even Joe Root is struggling to pick him. England has been on the wrong side as far as a result goes in the short form matches. But Eoin Morgan rightly pointed out how stumbling to one of the rarest bowlers in Kuldeep Yadav doesn’t change the dynamics much for them. India won the first ODI against England at Trent Bridge, a venue known as batting paradise for limited overs cricket in England. 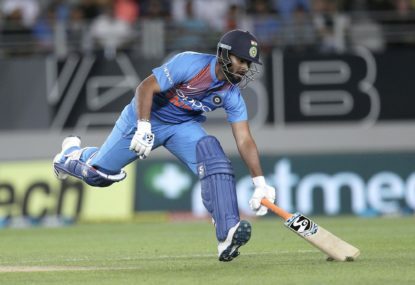 India edged out England to win their T20 series 2-1, thanks to some jaw-dropping displays from batsmen and Kuldeep Yadav bamboozling efforts in the first match. India beat England at home convincingly, while Pakistan won the T20 tri-series against Australia and Zimbabwe to retain their number one ranking. 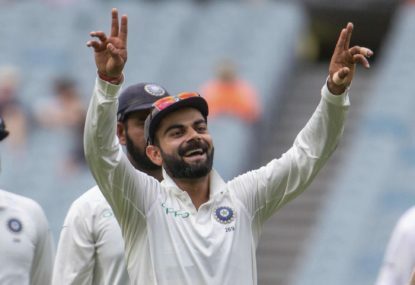 Pat Cummins has made the audacious prediction that Virat Kohli will not get hundred when India tour Australia this summer. 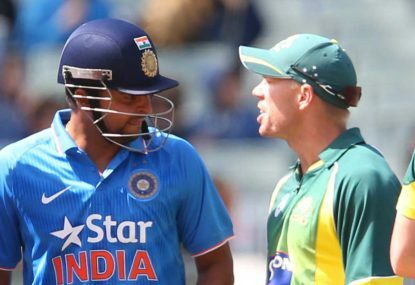 In fact, the young gun is confident Australia can knock off India 4-0. India has won the T-20 series over England in a riveting contest between two equally-matched sides. The win came after England scored 198 runs in the 20 overs to set India a target to go at ten runs per over from the word go. What a start it’s been to India’s tour of England. Amidst all the noise, the Cup is coming back home. Paul if you watched yesterday DC vs MI you would know what I meant! Zampa turns at pace .Make no mistake! It’s a fear of unknown. It won’t come from a recognized player. Perhaps at the end of WC, we would be in a better position to say. For example, Grant Elliot smoking Dale Steyn out of the park in the last over who would have thought . It’s not a regular performer who gives you the X-factor, but it’s the fear of unknown. With Rishabh at the crease, India needing 70 runs in 5 overs, teams will know it’s not out of range for India as long as Pant stays on. With Kedar, MS of now you know it’s not reachable. It seems you have been clueless about Rishabh Pant career graph in Test Matches. Not to forget Hazelwood did pretty well in Champions Trophy in 2017 picking up six wickets against NZ. Jhye is still raw. Hazelwood provides control. Just Indians didn’t play him well don’t mean others will follow the suite. I would replace him for Starc but not for Hazelwood. It’s not a man to man comparison, but a player should do the job assigned to him. You don’t pick best players in 11 but best 11 as per condition. Clarke admitted error in choosing Starc, Johnson in playing 11 for Ashes 15 instead of Peter Siddle who was perfect for English situation. Though Hazelwood didn’t have a great tour of the UK in 2015, his Mcgrath like mold gives him edge in a condition which aid swing and seam. I agree Jhye Richardson is future but for WC, Ashes replacement for Hazelwood? I don’t think so. Well that’s what happened ! True. But purely from cricketing point of view, Ind outclass Pak! Today’s Sri Lanka win precisely the reason, why I believe Lankan are fav over Aus, SA in WC.Too much talent to write them off. Yes, semi-finals is what will be the most important match for India.It could be a close contest like NZ-SA last time.If India gets through it, they could beat England in finals.Hopefully, they don’t face Eng in semis. A lot off the field was happening too. Coach -Players disputes.India especially Virat didn’t have the body language like he always does. I don’t think CT final kinda loss will happen again in big matches for India . Did u forget Bumrah no-ball? Add Kuldeep-Chahal in the mix. MS Dhoni back in form. Pak is never reaching 300 again. Ind should win contest easily. If one off day was choke, then Pak has choked n number of times since the 2000s. For God sake,this is 2019. It’s one thing happening one time around and another doing rounds, rounds as with South African team. Yes, I did miss out Rabada. And under the leadership of Faf, this has done some great things but there is a much better team than SA. I don’t expect them to go beyond semis. They just lack that spark. Faf, the captain, and the batsman will be the key. But even if they do surprisingly well to go till semis. I am not sure if their current players can withstand the pressure of the chokers tag. Excelled during different points in series at home.Mark Wood had a good series against SA back in 2017, if he stays fit no reason he cannot repeat those performance.Willey, Plunkett as well have done well in when it mattered. It’s not England of old where ball will do a lot.Times have changed.Average, economy rate isn’t true indication of what they achieved.The fact that they are still in team shows how greatly they are valued by Three Lions. 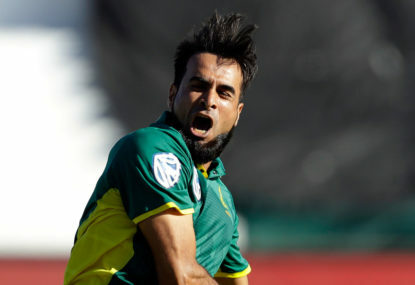 Don’t expect Indians to be outclassed like they were in Eng,SA. Australia if they have to win the series have to make tracks which aid swing and that’s death knell for Australia too . So while all may look glommy for now but change in playing 11 and more practice should help India. Like all Indian I understand what’s the hue and cry has been. This was best chance for us to beat Eng in their own backyard in generation. From the top view the restructuring looks fine. Hope it’s user friendly. Rats-India had enough time and men to make it 2-0.But losing momentum after ODI and wrong choice of team in both test caused our downfall. At Lords any team could have been bowled out for 100 but when Eng were 124-5 a third seamer could have spelled death knell for England. Similarly ,7-87 in the second innings R Ashwin who averages 19 against left handers was taken out of the attack and those extra runs were the difference. Team selection from captain has let us down. 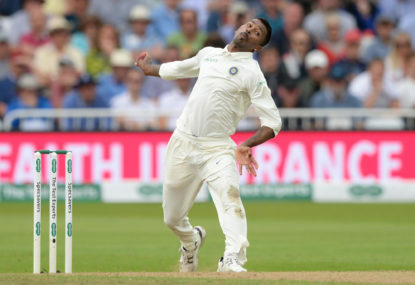 Pandya is he took 3 wickets but when match was out of India’s hand. Anindya- I see Vijay being out of national team never to return again. If he ever goes back to domestic cricket. We have invested enough in Vijay. It’s time to move on. We have been hard on Dhawan dropping him after one failure which affects players morale. 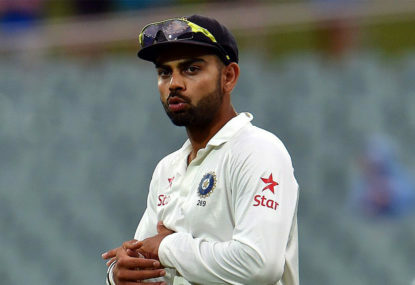 Virat playing was certain after the second test loss. But is it worth to play him looking at an important year with Oz, NZ, and WC coming up? Karthik didn’t practice much in the net session and there were injury issues so Pant will make his debut. 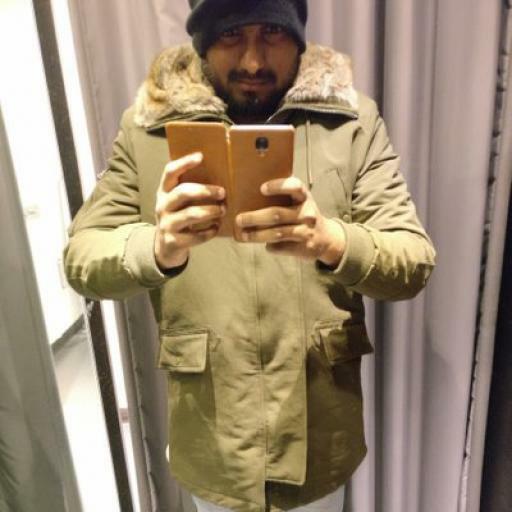 Bumrah is the X-factor and I hope he doesn’t waste the new ball for India’s sake. ABD i hope he comes out of surprise retirement like Lionel Messi and plays World Cup 2019. He has the lucky charm in Faf and ABD could spur things up for SA and surprise everyone.